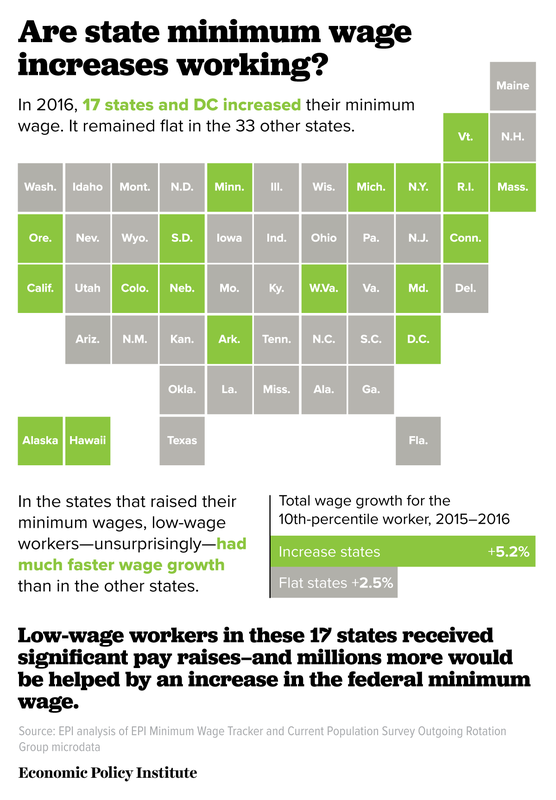 Wage growth at the 10th percentile (meaning at the low end of the wage distribution and made up largely of minimum wage and near-minimum wage workers) was 5.2 percent for states that raised their minimum wage, while comparable wages in states that did not raise their minimum wage grew at only a 2.5 percent rate. This is a clear indication that strong labor standards like the minimum wage can benefit workers even when workers generally have severely reduced bargaining power. In order for millions more workers to benefit from higher wages, Congress should raise the federal minimum wage.